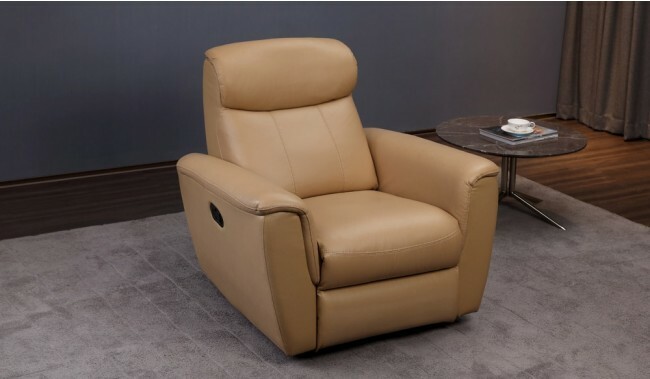 This is a Luxury Top Grain Leather swivel & recliner armchair. 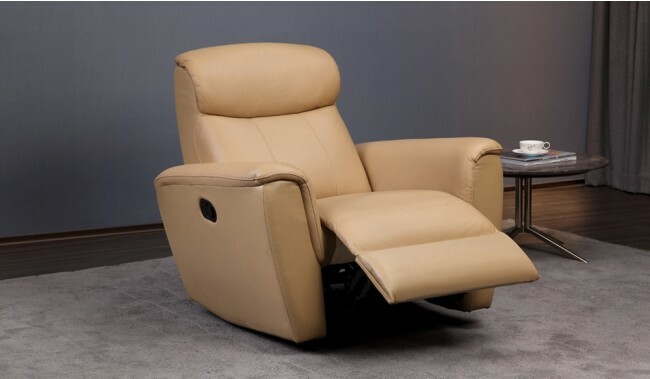 The contemporary design of the product makes it a perfect option when modernising any living room. It is produced using the finest top grain leather, which provides a long lasting comfortable experience. 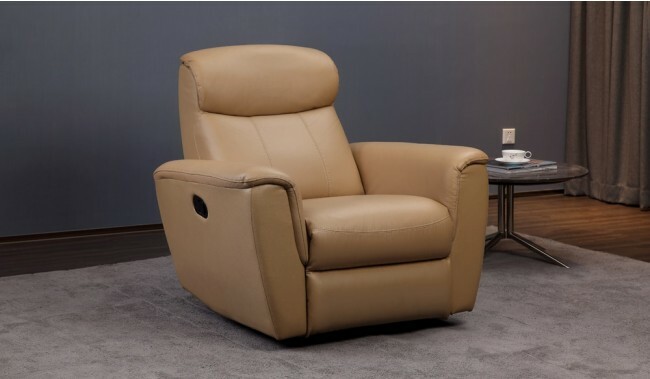 Armchair pictured is in Light Tan BP3046. 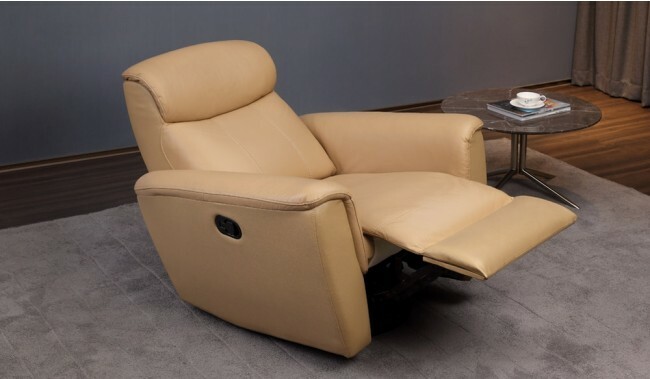 Base upholstery: Full Zig Zag metal sprung upholstery with high-quality reflex foam and premium top grain leather. 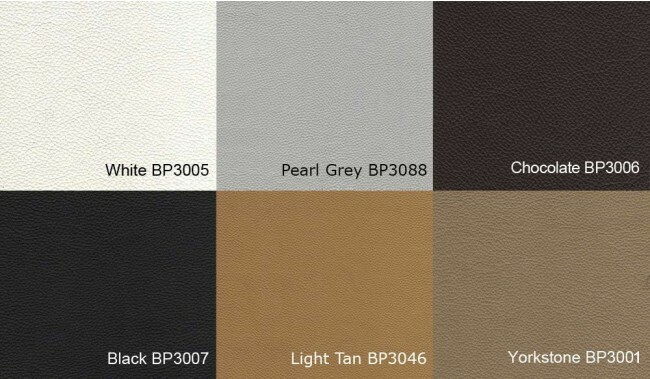 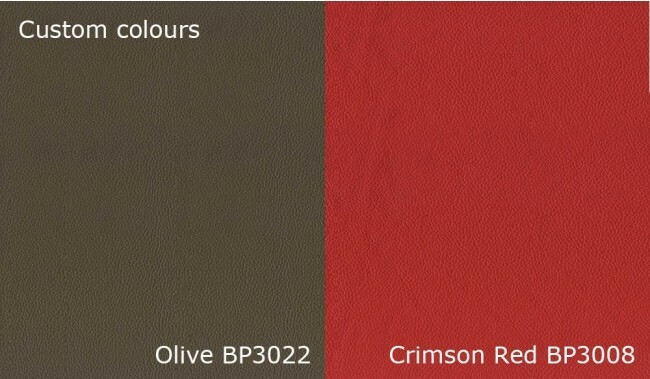 Premium Top Grain Leather 1.2-1.4mm - Matt Finish and Super Soft.